The late twentieth century witnessed rapid changes not only in Taiwan's economy, but also in its identity. Both economic as well as ideological restructuring have been basic elements in the transformation of postwar Taiwan, as rapid democratization opened a Pandora's Box, and stirred a whirlwind of social discord. This volume considers such important questions as whether the old Taiwanese work ethic is a relic of the past, and whether Taiwan is likely to become a battleground of ideological wars.The book addresses Taiwanese nostalgia for Chinese culture; the rise and fall of postwar Taiwanese agrarian culture; the transformation of farmers' social consciousness in the period 1950–1970; the place of Confucianism in postwar Taiwan; and the awakening of the self and the development of a Taiwanese national identity in the post–World War II period. Finally, it considers whether mutual historical understanding may be the basis for Taiwan-Mainland relations in the twenty-first century. 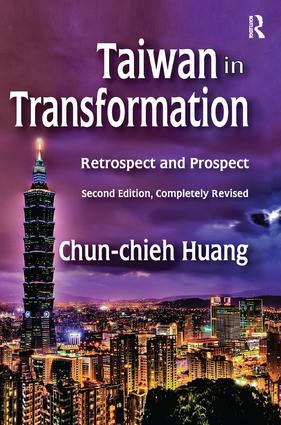 This second edition includes a new chapter on the history of Taiwan after World War II, incorporating additional developments in Taiwan in the past decade.Insights extrapolated from an understanding of history are essential for grasping and solving the basic problems Taiwan now faces and, above all, the conflicted relationship between Taiwan and Mainland China. The book's thematic undercurrent is the question of Taiwan and Mainland China: How do we deal with the tension between cultural China and political China?